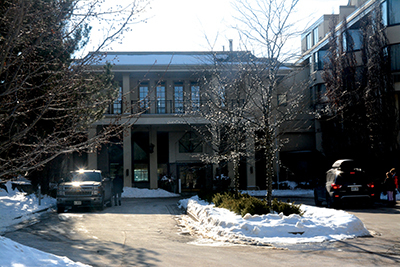 The Hockley Valley Resort, one of Ontario's most notable ski, golf, and event destinations, has been sold. The Adamo family, who have owned the Resort since 1984, have confirmed the sale of the facility to the Sunray Group hotel chain. Located on the 3rd Line in Mono, the Resort has over 100 rooms, a spa, and operates 15 ski runs during the winter months and has an 18-hole golf course. It is a popular destination for weddings and corporate, and social events. The sale also includes the Adamo Estate Winery. The Winery produces several types of wine from over 15 acres of vineyards on the property and offers tastings, events, and on site sales of their products. Around 300 people are employed at the Resort in various capacities. Rumors of a sale began to circulate in February after an internal memo was distributed to staff informing them that the Resort was being sold. That could not be confirmed when a spokesperson at the resort would not comment on an impending sale, stating only that there would be ‘an announcement' within a few weeks. That announcement came in the form of a statement and press release issued on the Resort's Facebook page on March 27. The Sunray Group, a privately owned company, describes itself as ‘one of Canada's fastest growing hospitality and development companies', owning 42 hotels across Ontario, Quebec and Newfoundland. Amongst its holdings is the Best Western Plus Orangeville Inn and Suites on Buena Vista Drive in Orangeville. The Sunray group did not respond to a request for information on the purchase.